North Little Rock Law Firm, David R. Cannon | Penalties for Drunk Driving "
State legislatures have enacted drunk driving laws that impose strict penalties on offenders. One of the mechanisms most widely used to combat drunk driving and increase highway safety is administrative license suspension (ALS). Current state statutory schemes nationwide provide that when a police officer stops a driver on suspicion for drunk driving and the driver either fails to pass or refuses to take the requisite chemical test determining the driver’s blood alcohol content, the officer will seize the driver’s license, immediately suspending driving privileges. The suspension is temporary, and drivers may apply for a restricted license for employment purposes. The driver also may request an administrative hearing to determine whether the officer had probable cause to detain the driver and conduct the chemical test. At the same time that the license is suspended, the driver is arrested pursuant to a separate statute and charged criminally with driving under the influence (DUI), or as some states title this offense, driving while intoxicated (DWI). The possible sentences for committing DUI are governed by the statutes of the jurisdiction in which the DUI occurred. Punishment is set according to minimum mandatory penalties. 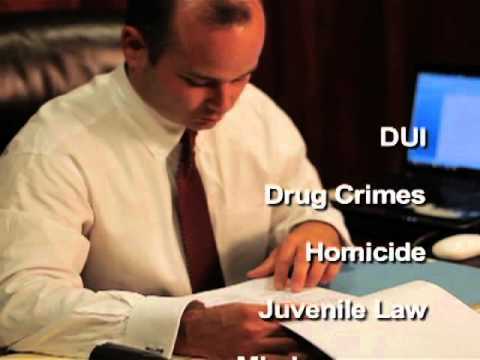 A DUI conviction traditionally requires that the motorist be adjudicated guilty. Other penalties include: a period of probation or imprisonment, alcohol treatment and/or counseling, a license suspension over and above the “administrative” suspension pretrial, community service, fines, restitution, and miscellaneous court and police surcharges. In addition, some states may impound, immobilize, or seize the vehicle. The court may also order that an “ignition interlock device” be placed on the vehicle to ensure that the convicted motorist is not impaired. Some courts have determined that a motorist’s extreme intoxication or conduct will support an enhanced penalty. In addition to these “penalties,” there are personal expenses associated with the costs of probation supervision, increased insurance rates, and possible work permit and license reinstatement fees. Mandatory jail sentences are imposed upon subsequent offenders. Some jurisdictions, however, may consider house arrest as an alternative to incarceration. In that event, the motorist’s only movements, monitored appropriately, are generally to and from work and home, an alcohol and/or drug treatment facility, and other familial, household, medical or religious activities. All other activities may be attended only with the court’s prior approval.